Galaxies glow like fireflies in this spectacular NASA/ESA Hubble Space Telescope image! 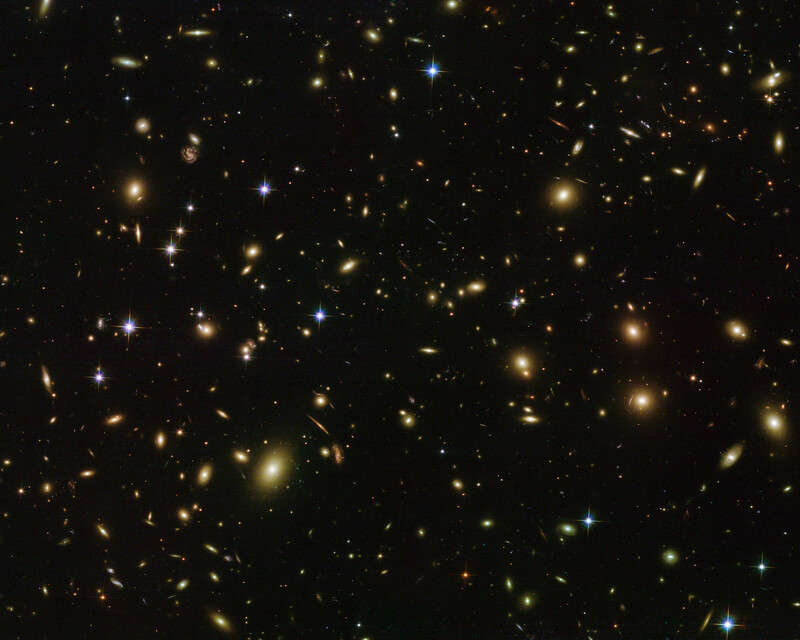 This flickering swarm of cosmic fireflies is a rich cluster of galaxies called Abell 2163. 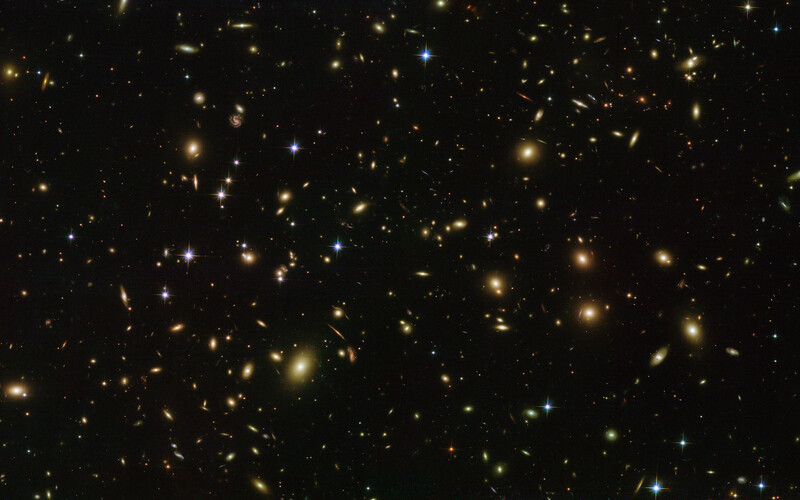 Abell 2163 is a member of the Abell catalogue, an all-sky catalogue of over 4000 galaxy clusters. It is particularly well-studied because the material sitting at its core (its intracluster medium) exhibits exceptional properties, including a large and bright radio halo and extraordinarily high temperatures and X-ray luminosities. It is the hottest cluster in the catalogue! Observing massive clusters like Abell 2163 can contribute to the study of dark matter, and provide a new perspective on the distant Universe via phenomena such as gravitational lensing. 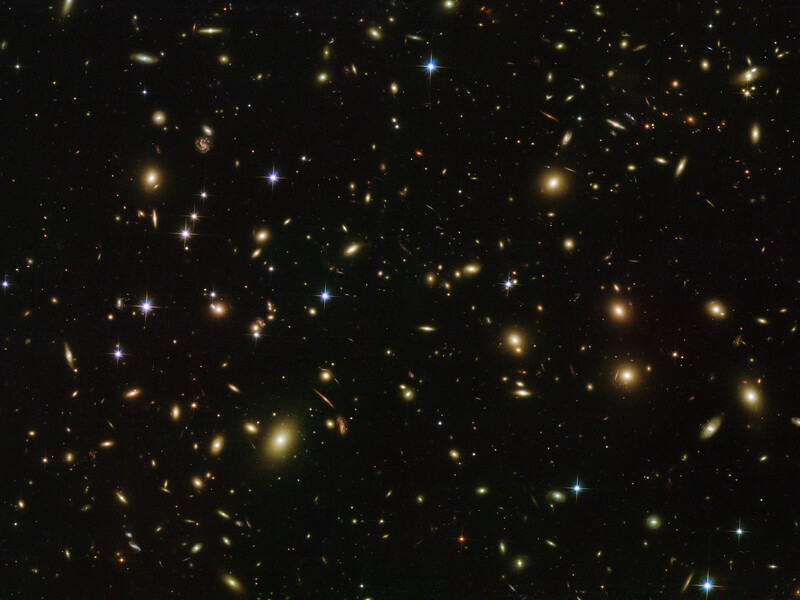 This image was taken by Hubble’s Advanced Camera for Surveys and Wide-Field Camera 3, partially for an extensive observing programme called RELICS. The programme is imaging 41 massive galaxy clusters to find the brightest distant galaxies, which will be studied in more detail using both current telescopes and the future NASA/ESA/CSA James Webb Space Telescope (JWST). Position (Dec): -6° 8' 48.27"